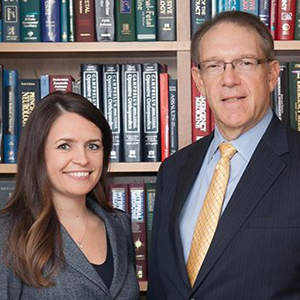 Jules Olsman and Donna MacKenzie are no strangers to receiving awards, and being selected as candidates on honorable legal publications, and this year is no different. The list for the Best Lawyers in America© 2017 has been released, and both Olsman & MacKenzie have been chosen to be recognized on the list for what is Jules’ tenth year, and Donna’s second year. Best Lawyers is the oldest and most highly-respected peer review guide to the legal profession worldwide. Since its inception in 1983, The Best Lawyers in America has been seen as the most reliable and unbiased source of legal referrals anywhere. Inclusion on a Best Lawyers list is considered a significant honor, as it is only after exhaustive peer-review surveys that an attorney can become included. Surveys are sent out annually to leading lawyers who are then asked to provide an opinion on the professional abilities of their colleagues. Only when an attorney receives enough votes from his peers will they be named to the list. In addition to congratulating both Jules & Donna on this outstanding accomplishment, another congratulation is in order for both of them being recognized as “Lawyer of the Year.” Individual attorneys with the highest overall peer-feedback for a specific practice area and geographic location are recognized as the “Lawyer of the Year”. Only one lawyer is recognized as the “Lawyer of the Year” for each specialty and location. Jules Olsman has been named in The Best Lawyers in America from 2007 through 2016 and was also honored in 2016 as the Personal Injury Litigation – Plaintiffs “Lawyer of the Year” in Troy. Attorney Donna MacKenzie was named in The Best Lawyers in America in 2015 and 2016 and was also recognized in 2016 as the Medical Malpractice Law – Plaintiffs “Lawyer of the Year” in Troy. 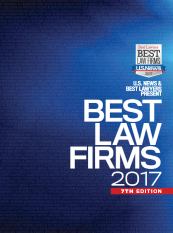 The firm itself, has been honorably named on the 2017 Best Law Firms list, as well. A special congratulations is in order to them both.